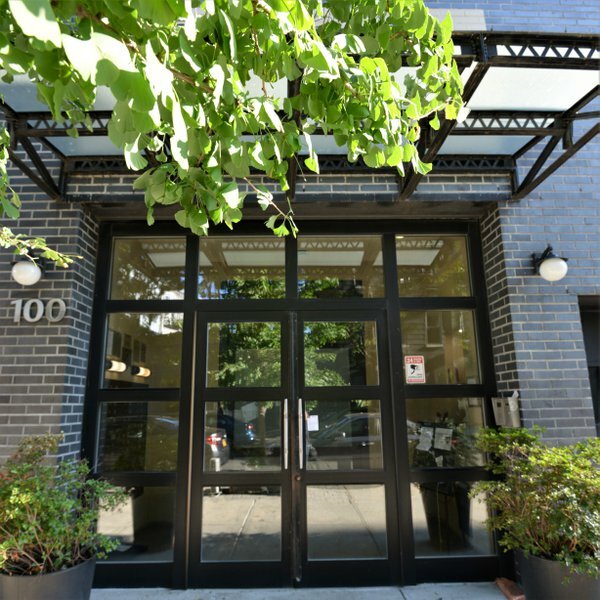 Located at the intersection of two of Brooklyn's most sought after neighborhoods, Williamsburg and Greenpoint, is Century Vintage at 100 Engert Avenue. The location offers the best of two worlds: Greenpoint contains the Greenpoint Historic District, which has a laidback, relaxing vibe, and Williamsburg is arguably the trendiest neighborhood in New York, dubbed by some as "the hipster capital of the world". The 5-story, 31-unit has an industrial grey brick façade and its interiors reflect the best of modern design combined with reclaimed and natural materials. The residences feature satin-finished oak hardwood floors in living areas, large windows allowing ample sunlight, and central air conditioning and heating. The kitchens contain painted white wood cabinets with wire mesh glass accents, oversized farm sinks, authentic reclaimed wood bar tops, white Carrera marble countertops, and retro-style Big Chill refrigerators. Bathrooms feature a combination of textured and smooth subway tiles, elegant custom vanities, glass-enclosed showers, and tasteful brass finishing pieces. Amenities on offer include a state-of-the-art fitness center, a residents' sun-deck with breathtaking views of Manhattan and McCarren Park, a gorgeous landscape common courtyard with seating, a vegetable garden, and more. Century Vintage is conveniently located within walking distance of the Bedford Avenue, Lorimer Street, and Graham Avenue subway stations on the L-train, and the Nassau Avenue station on the G-train, providing access to other parts of Brooklyn and Manhattan. 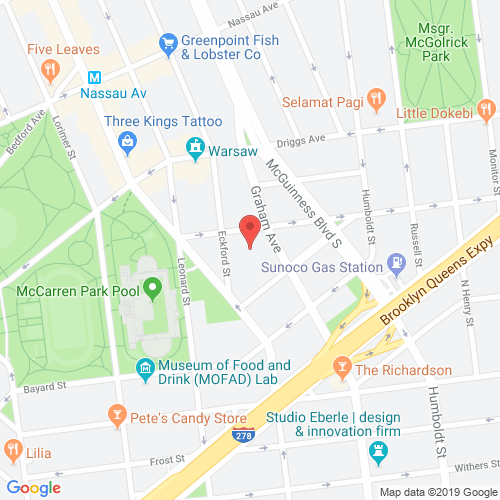 The building is also just a few steps away from McCarren Park, which one of New York's best public pools, a farmers market and an array of food, recreation, and entertainment options, ranging from the boutique to the bohemian. Live in comfort at a location where two of New York's most hip neighborhoods converge. 100engert.com has no association or affiliation to the building, developer, or management company. By submitting your contact details you agree to be connected with a licensed real estate professional who has been deemed to be a specialist in this building and/or neighborhood. 100 Engert Avenue 2010-2019. All rights reserved.